Bluegrass, craft beer, and food trucks at Riverscape in downtown Dayton. Enjoy progressive bluegrass music, a variety of food trucks and craft beer, as RiverScape MetroPark brings music to the riverside! No registration is required for this free, all-ages event. Bring your dancing shoes and a lawn chair for seating in case you need a break! 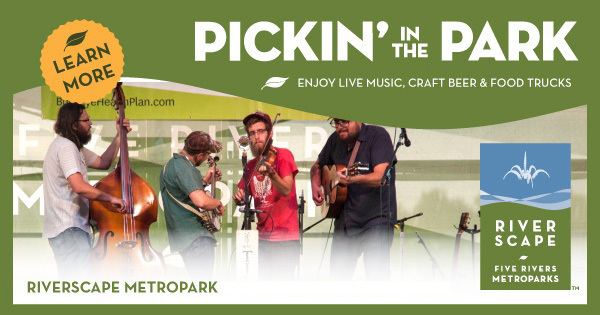 Find more events like "Pickin in the Park & Food Trucks"